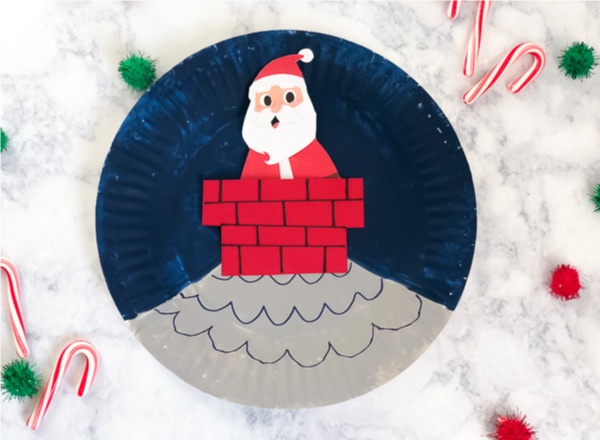 Inside: Make this fun paper plate Santa craft with the kids this winter break! 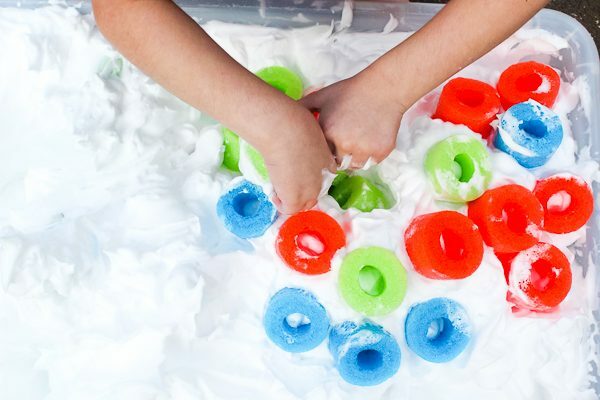 ‘Tis the season for tons of Christmas crafts and activities for kids!! 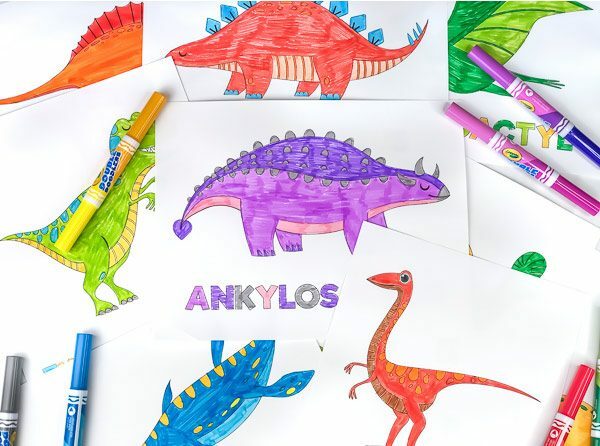 If you haven’t been following along, we’ve been sharing loads of fun activities to get into the Christmas spirit and keep boredom away this Christmas break. 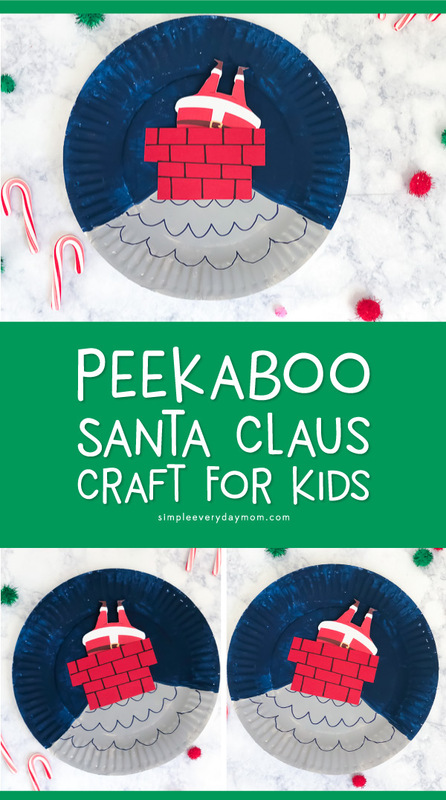 Some of our favorite activities so far have been this handprint reindeer craft, this funny photo elf craft for kids, this free printable Christmas matching game, these cheery Christmas tangram mats, and this simple Santa handprint craft. 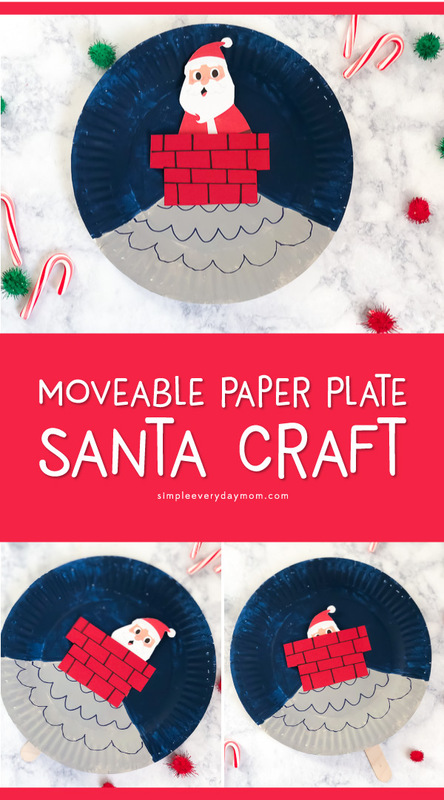 Today we’re sharing a fun Santa paper plate craft that your kids will love! 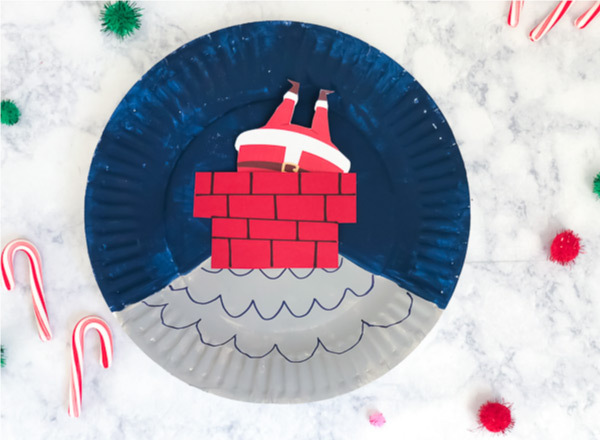 Read on below to see what makes this silly and unique Santa craft. The best thing about this craft is the fact that it’s interactive. Once you’ve made it, you actually get to play with it too! Just move the popsicle stick up and down and watch him bring Christmas magic to all the homes. Believe me, kids never get bored seeing Santa come up and down the chimney. Draw the shape of a roof almost halfway up the paper plate. Paint the bottom of the plate (the part that will be the roof) gray or brown. 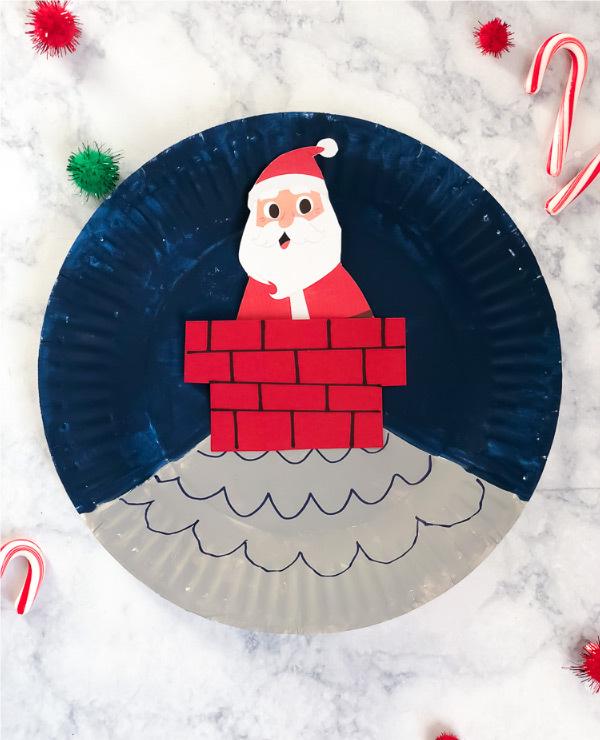 Paint the top portion of the paper plate blue. Let dry completely. 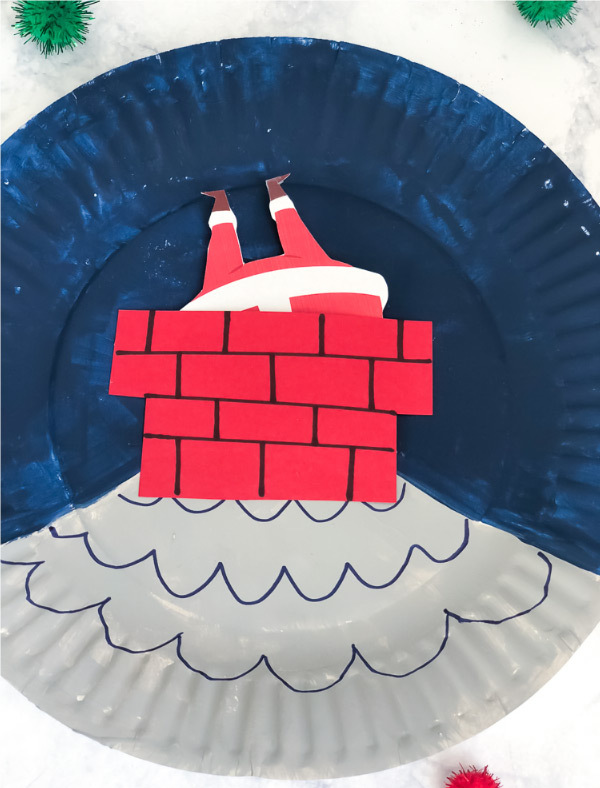 Use the chimney template to trace and cut out a chimney on the red cardstock. 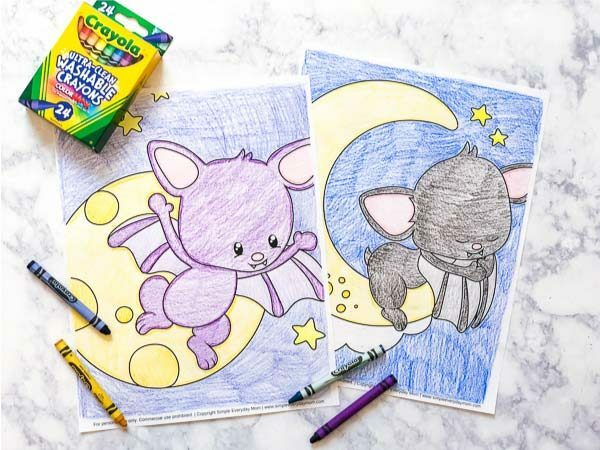 Draw brick lines on the cardstock with the black marker. ADULTS ONLY: Using a utility knife, cut a slit on the top of the roof slightly smaller than the chimney. 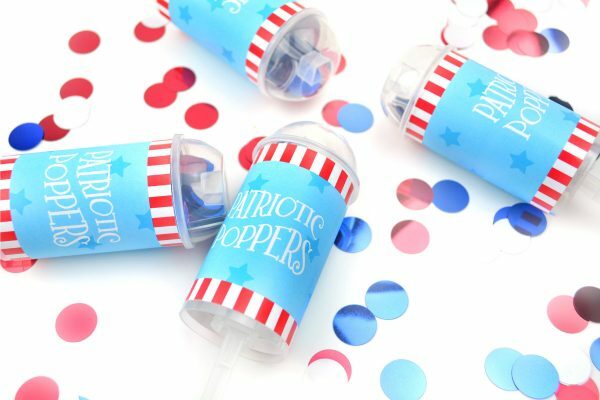 Cut out the Santa character (the head, the feet, or both) and glue onto a popsicle stick. Glue the bottom part of the chimney down onto the roof, slightly below the slit. Glue only the edges of the top half of the chimney, so Santa can still move up and down. Insert the popsicle stick Santa into the slit and move him up and down. My kids giggled when they saw Santa peeking out from inside the chimney. They thought it was even funnier when we switched the popsicle sticks out and saw Santa’s feet going down the chimney! 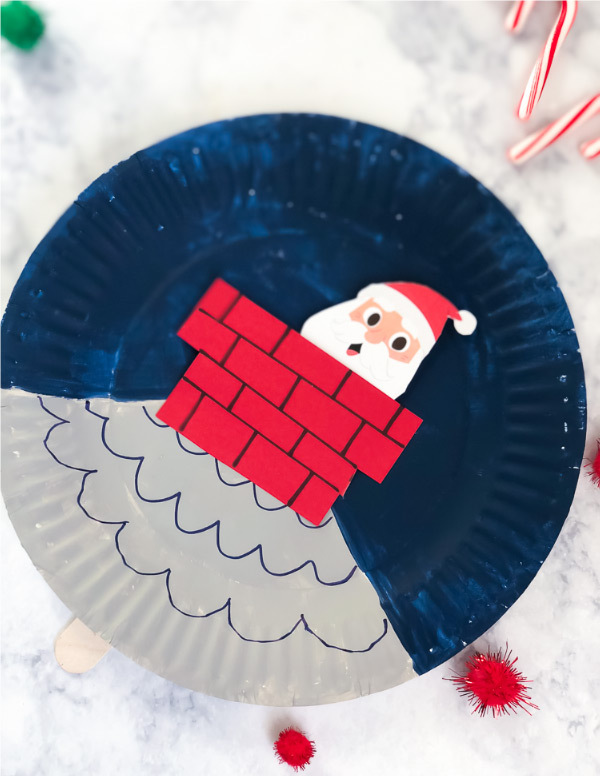 If you want to do this Christmas craft at home with your kids, don’t forget to enter your email in the form at the bottom of this post to have the chimney template and Santa emailed to you.